In the example above, we clicked on the top symbol in the Shapes Buttons, a rectangle. Then we moved the resulting shape outline over to the drawing field. The cross marks the center of the symbol, and the hash marks on the rulers track the position of the cross. In Chartist, symbols are positioned by their centers. Notice that most of the Tool Buttons at the top are now enabled. (They have something to work on in the drawing now!) Notice also that there are some little black squares on the outline of the rectangle. These are selection handles. They show you which symbol is selected, and they provide a direct means of changing the size and shape of the symbol. In order to work on a symbol, it must be selected. You select a symbol in the drawing by clicking once inside it. To Move a symbol, click inside it, and hold the left mouse button down. Then just drag the symbol over to where you want it, and release the left button. To change the size of a symbol directly, select it by clicking inside it. 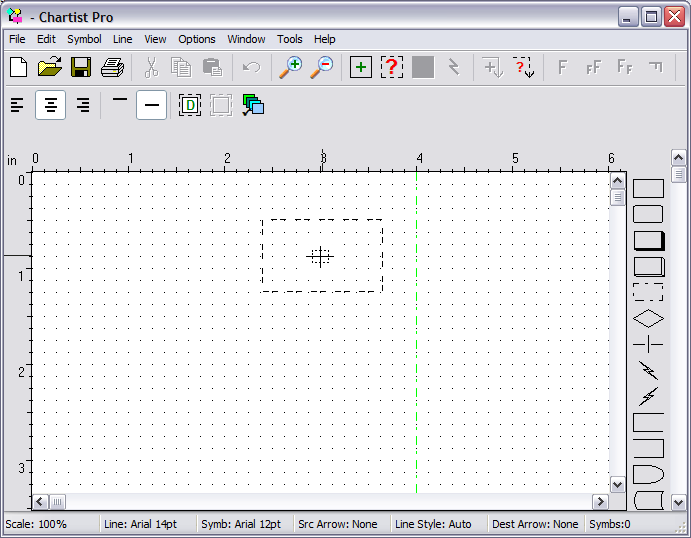 Then put the mouse cursor over one of the selection handles positioned on the outline of the symbol. Click and hold the left button. 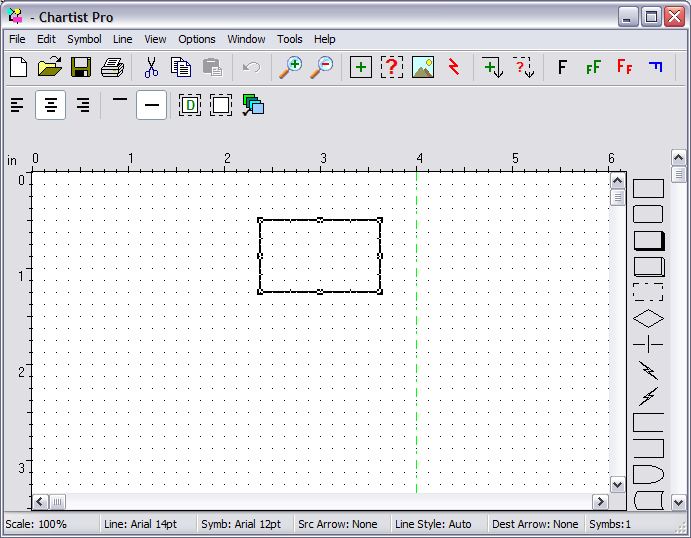 Then drag the mouse as desired to resize the symbol. If you don't like the results, just use the Edit Undo command, to revert to the previous size.